*Note: These profiles are from 2016 Fulbright intake but still apply to prospective applicants in 2017. USEFP selection criteria changes very little year on year so these can be used as a very reliable reference. Finally the 2016 Fulbright selections for MS and PhD programs have been finally made and every principal and alternate candidate has been informed of the decision. Those who have not yet heard from the Fulbright should certainly be sure that they have not been successful this year and now they must look into alternative options. Unsuccessful candidates can apply next year as well but I generally advise students to first explore other options such as applying directly to graduate schools in US or other possible countries of interest. As for the successful candidates, surprisingly the number of those admitted from LUMS has fallen significantly. Over these past few days 17 of my students have shared their profiles and the remaining have been shared by other generous Fulbright scholars – I requested some of them to share their profiles with me so that other aspirants can gain some benefit from their data. In case you have been selected for the Fulbright 2016 cohort and are filling to share your profile for others to benefit, please fill this form. We all will be really obliged. 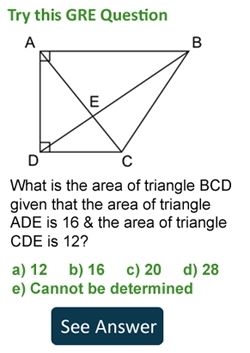 Anyone with civil engineering major secured it? were the trained in brightlink? Mostly from LUMS, NUST and Forman Christian College are making the list. Interesting! You can check the Fulbright program for post docs. Has anyone from English major got the scholarship? Yes Maryam – there are quite a few. I don’t see any profile with English major. Yup no English major in my knowledge. I am in my 5th semester with average 3.8 GPA but with no publications under my name. When and what shall be the first thing to take up in preparation for Fulbright scholarship? Maryam – take the GRE and do some extra curricular work along with some research work. can i have a look at a profile of any one selected in agricultural sector, particularly in agricultural economics?? Well the shared profiles are all above. If there isn’t one from agri then that means they have not shared it with us to put on the website. i have done B.sc(hons) in agricultural economics, but i want to do masters in general economics, can i apply for general economics and will they give me the prefference of agricultural sector if i apply for general economics?? Any of the fulbright 2016 scholar received placement decisions? Hi! We have received admission decisions but no final placements as yet. We’ll probably get them by end of April or somewhere in May Insha’Allah. I am doing M.Phil. Linguistics and literature. i want to do PHd , is there any relevant scholarship for my field? I am b.s honors in english lietrature can i apply?please tell me the procedure briefly. Dear Brother Talha AOA,I am from MULTAN and need your help in sorting out good books for prepartion og GRE in contextb of Fulbright Scholarship programme.I can’t afford to be in Lahore for preparation as I am in Govt.job. I have completed my undergraduate degree in chemical engineering and now pursuing masters in nuclear engineering from PIEAS , i need to know that can i apply for full bright scholarship for another masters degree, once i complete my masters degree from PIEAS. i have no work experience but have been teaching from last 6 years ,because teaching is my passion. NOW if somehow i secure good marks in GRE and TOEFL what should i take at then. WAS – If you are doing another MS in the same field then it is not recommended to do another MS else you can do it. Thank you for reply.NOW what if i don’t show my masters degree and apply on the the bases of my undergrad degree? Any one got accepted fro physics as major….??? When do the final placements for Fulbright come? Anyone have any idea? Gre 151q, 146v bs with major in cs from fast isb could be selected? First of thanks for this commendable effort for compiling this data. I want to apply for Full Bright Scholar s (Post Doctorate). Can you please guide me, because I am interested to talk to some one who has availed this opportunity. Can u help me out in finding any link in this regards. Hi, the Fulbright application has limited space for the study objectives; I’m applying for a PhD and I know that all programs require a proper research proposal. However, the Fulbright application does not instruct or request a proposal. Do I still send one in? What does the Fulbright expect? Will they ask me to submit by proposal after selection? Can a student having graduation in engineering and having pursuit of masters in social sciences be awarded Fulbright? is there any one who got the scholarship in international relations? Hey. Can you please guide me regarding GRE. How many times we can take it? Such as in SATs we can appear more than one time and submit the highest score to the university. Hello – you can take GRE 5 times year. You can submit your best score in GRE as well. i am a student of political science. i want to exchange semester. any scholar foe me plz guide me. Is there any way to contact these fulbright scholars to help us in our application? I plan to apply for Marketing for this year’s Fulbright application and I saw a couple of people here who got it in Marketing. Unfortunately they have chosen to remain anonymous! Could you please explain me how to take GRE test. Where to apply? And what are ur course fee nd duration. I scored a 309 (Q161 V148) on the GRE and 500 on the GMAT. I have a strong profile in general (Work experience, GPA, Community Work). I dont intend to retake the tests. Would you suggest applying with this GRE score for my MBA? I got 298 score in gre . i am CSP officer. serving as public administrator (AC). i want to apply for master in public policy. with this score am i acceptable for fullbright? Can a student of lower ranked university can be selected? I haven’t seen any profile of doctor of pharmacy.i want to apply for m Phil leading pH.D. I m fresly graduated from ucp Lahore..I don’t have any research papers..but a GPA 3.91.shoyld I apply for full bright program. On FB you can apply only for MS or PHD. i did my BS(HONS) in statistics from Quaid-i-azam university islamabad.i got 3.6 cgpa with top in my batch.my GRE score is 302.i don’t have any work experience yet and never have any internship due to my extensive studies.what are my chances of getting scholarship ? is my GRE acceptable for my field ? Hello Shahzeb, Given your profile it looks pretty decent – chances will be high given you do well in your application for Fulbright. If you have a 165+ on quant then definitely a good chance. can i ping with you when i’m preparing my application ..i’m working on my GRE scores too…. I want to have Phd scholarship in chemistry, kindly send me the schedule for full bright scholarship. Hello. I want to know about my eligibility and chances of getting the Fulbright. I have done my first two years at LUMS and then transferred to University of Toronto so my final degree is from there. In your opinion does that affect my eligibility and chances of getting the scholarship? Can you confirm if someone who has a bachelors degree from outside of Pakistan (but not the USA) has ever gotten the scholarship? I’m interested in studying data science do they let you decide your major or no? Yes they do let you decide! Mechanical engineer from UET Lahore (cgpa 3.43). 1.5 years work experience including oil and gas sector. GRE (162q, 148v). Member of three societies during engineering. Is there any chance for getting selected for Fullbright? Your GRE is a bit low for mechanical engineering. Salam talha bhai u know anyone in the field of mathematics ? One who already got fullbright in phd mathematics ? W.A.S Yes a few of them! Did anyone with a bachelors in the field of Biology or Bioinformatics get selected ? Hello – yes every year 2-3 do get the FB in this field. Talha, I work for the inland revenue service and I really want to apply for an mba program because i deal with businesses for revenue collection and i think the degree will help me immensely in understanding how the businesses operate. Keeping the Fulbright’s intake of mba applicants for the last two years in mind, I don’t think i stand a chance. Maybe the Fulbright Pakistan is not encouraging MBA applicants. Its an expensive degree. Do you think i should change my degree choice to Economics? Which degree selection will improve my chances of selection? Yes Fulbright will rarely give MBA admissions to Fulbright applicants. Finance/Econ are possible alternatives, although Fulbright prefers areas or applications where there is a direct societal impact. Hi Talha. Can u get profile of any Law person or who is of social sciences and chose his major as crimonolgy? Please. Hello – well no one has shared their profile in LAW, that is why it is not in the list above! Hi Talha, can you guide me, if a student has been to US as an exchange student of usefp during his undergraduate studies, will it help in his selection for Masters? Hello Amna – Well honestly UGRAD students are at a slightest disadvantage when applying for Fulbright. However, if you apply directly, you will fare well!